We visited my parents today and I persuaded my mum to get the rest of the Lego down from the attic and to see if there were any instruction booklets as well. There were. By no means all the booklets have been kept, mainly the space themed ones, it seems, which may reflect my brother’s interest, but enough to make me dance a little for joy (well, internally). The lass thought it was really cool, which is nice, perhaps that means I get to dig around for parts for some of the other sets next time we visit. Well, perhaps. Though I’d have said the thought of turning forty in just under a month doesn’t bother me, perhaps what I am about to say contradicts that, perhaps this is my midlife crisis. 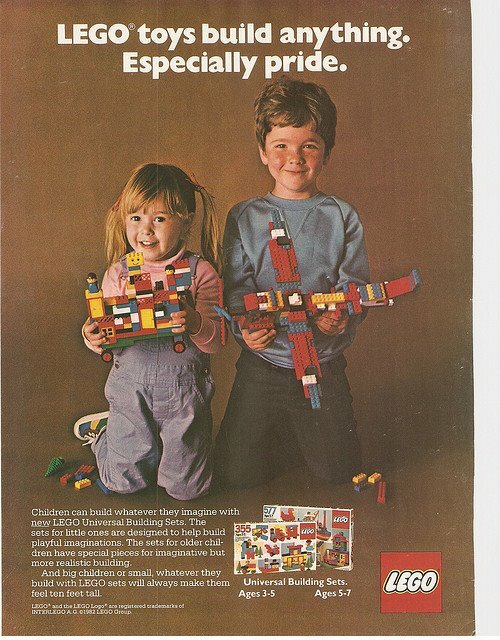 I have, of course, mentioned Lego before. I even have a category for it, though there are not that many entries. That might be about to change, if I can keep the blogging momentum up. The lass is turning into quite the builder, following instructions she builds models that are marked 8+ or 10+ with hardly any problems. Independently she builds quirky models that have a “well, I see where you’re going and your basic idea is good but you may need some practise on the execution part” quality. She has a desk in her room which is covered mostly in Lego Friends sets but supplemented with other Legos and some Playmo and a random play house, a flea market find. Under the desk is a small table where the TMNT Legos live, a reasonably accurate representation of the sewers. For myself I have accumulated a few sets, giving in to temptation when at a Lego store or when there’s been a sale (we’ve had a few rounds of 30-50 %, and it’s hard to avoid buying something at that price). 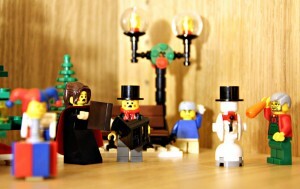 I am in the process of registering everything I have at Brickset.com, to get an overview, and to create a wishlist in the same place. So far my purchases have been sort of random, the only thing I’ve collected in an organised fashion is the winter village sets which we’ve been using as a sort of alternative (non-religious, obviously) nativity set – something to bring out every year in December. Now, however, I have decided on a theme and will be collecting towards a more defined goal (though I am sure I will not be able to resist the odd impulse purchase). I may even sell or trade a couple of the sets I have which don’t fit. Part 1: Keep collecting the Winter Village. Part 2: Keep buying minifigs in the collectors series, partly to collect, partly to get a wide variety of accessories and eventually to try my hand at minifig customisation. 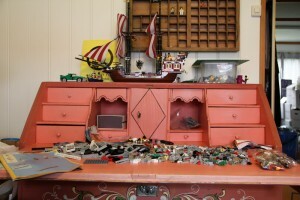 Part 3: Collect towards a larger set-up of ships and buildings and paraphernalia that will represent the 1800-1810 era. The goal is to eventually create a village that could represent Shelmerston from the Aubrey/Maturin series by Patrick O’Brian, as well as the corresponding ships and other locations from the books. 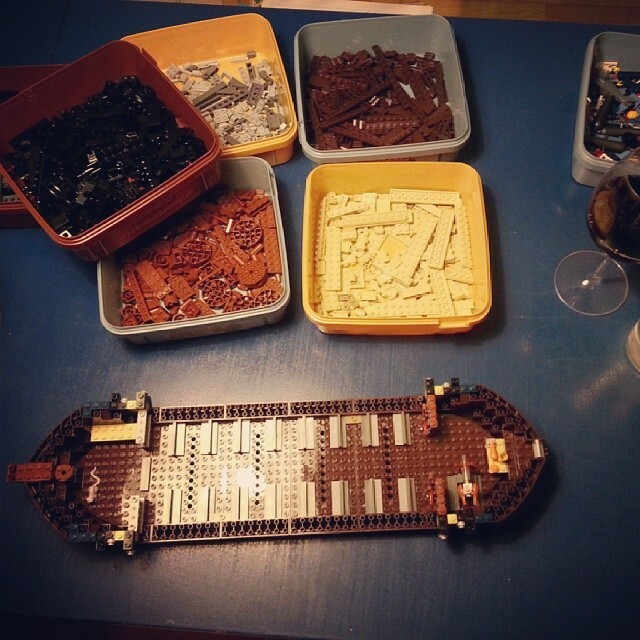 My timing is dreadful, since the most useful Lego theme – Pirates – has been dormant since 2010, but I plan on buying things from other themes that will work, or that will work with minor or major tweaks, and eventually I will start building MOCs. For the past two years we’ve visited an exhibition by the Norwegian AFOL-club Brikkelauget, called På kloss hold, held in Trondheim in April. This year I’m taking it a step further and have (finally) become a member of Brikkelauget and have registered to participate at the members-only part of the exhibition weekend, as well as volunteering some models for the exhibition itself. Currently I am enjoying piecing together the Imperial Flagship (10210-1) which I had the foresight to purchase when it was released in 2010. I haven’t built it before simply because I’ve had no room to exhibit it once done. 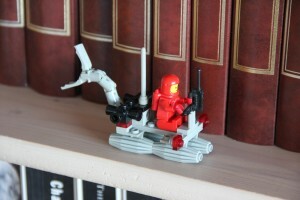 Now it will come to På kloss hold, but I have also planned a shelf for it in the office/guest room/Lego room. It was perfect. I could do with a desk lamp, though. 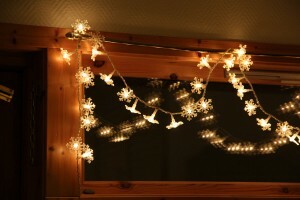 Technically, I don’t get the Christmas decorations out before the 23rd. 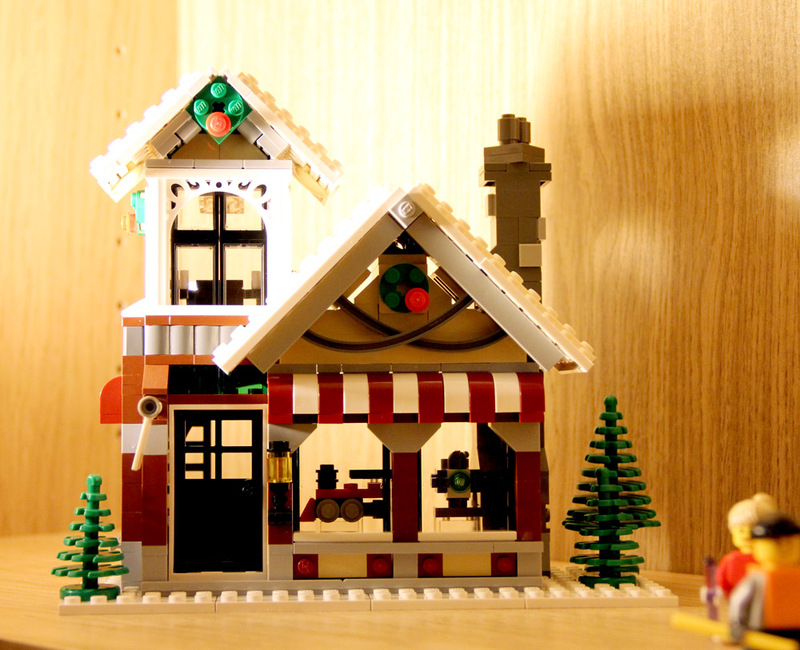 Well, except the advent star (which is up) and a wreath for the front door (which is not up, no idea where it is, actually), but I’ve been shopping legos lately (and how) and some of them are Christmas-related. So I started building the wintery sets. I’m planning on demolishing them and packing it all away after Christmas and taking it out each year to rebuild, eventually the lass will hopefully be able to help. 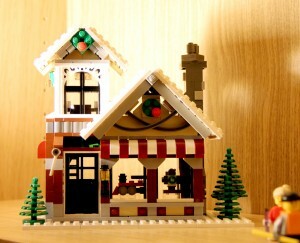 This is the Winter Toy Shop set, and I’ve also got the Winter Village Bakery waiting to be started. 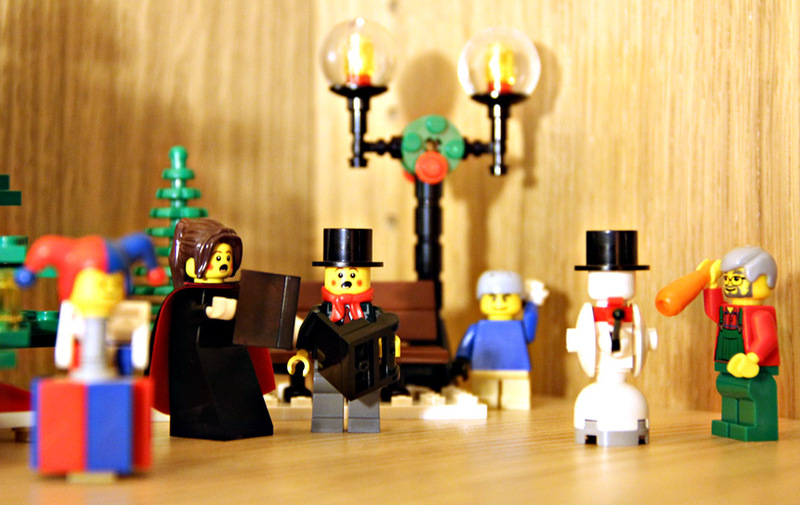 I need to work on my Lego photography, though. Better lighting would help – and perhaps it would be a good idea to create some sort of set background for these? At the very least a white backdrop, but perhaps a bit of night sky or something would look good? This afternoon we thought we’d check out the flea market that was supposed to be at Stjørdal, and on the way there we stopped by Røde Kors-huset i Hommelvik where there was also a market happening. We browsed the furniture outside, but nothing really caught our fancy, then headed inside. The first thing I noticed, partly because it was right inside the door, was a loom. “Vev 350 kr” a note on it said. Well, I knew for a fact I didn’t have 350 NOK, and the husband had just remarked he didn’t have any cash, so I decided to browse the rest of the room. Nothing else caught our fancy, though, and as they had a sign up saying “bag sale from 1 pm, 50 kr a bag”, I figured they were getting to the point where they wanted to get rid of stuff. I checked my wallet and found I had a 200 kr note, so I thought i was worth a shot. I’ll give you 200 for the loom – it’s all I have on me. I guess by now you’ve realised that the answer was “OK”? 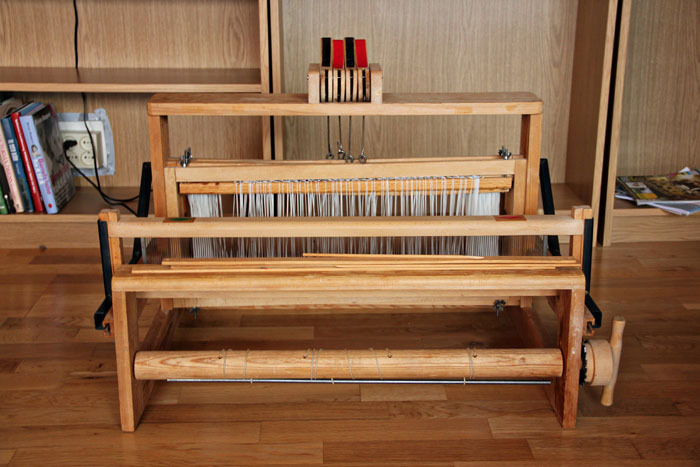 It’s what we’d call a “table loom”, as in you can put it on top of a table to weave. It also came with a stand, which we dismantled to get it in the car. All the essential pieces seem to be there. Now, my mum actually has two looms (only one assembled, though), but they’re both pretty big. My mother-in-law also has a big one. So I can’t claim I needed my own to get to try weaving, exactly. However, having one’s own is obviously nice, it means I decide how to thread it. Since it’s pretty portable, too, I can take it to my mum’s to get her to help me and then take it home again to weave, if I was to “borrow” one of theirs it would mean sitting at their place to weave. Not quite the same thing. Other than that it was mostly slim picking this weekend, though we managed 5 different flea markets. The on at Stjørdal was in an old hangar and was simply too big – or perhaps we were there too late and everything interesting had been sold? At least I couldn’t find anything worth buying. Saturday was somewhat better. Some books and some dvds, a couple of orphaned plates and a box containing 20-30 Bionicle figures (I haven’t attempted to sort though them to figure out just how many) for 50 kr, which has to be considered cheap. Oh, and a pair of Levis in the lass’ size for the humongous sum of 5 kr. It’s a well-known fact that the only reason I thought having kids was a good idea was because it would give me an excuse to buy obscene amounts of Lego. So far I have actually managed to stick to Duplo, applying severe self-control. 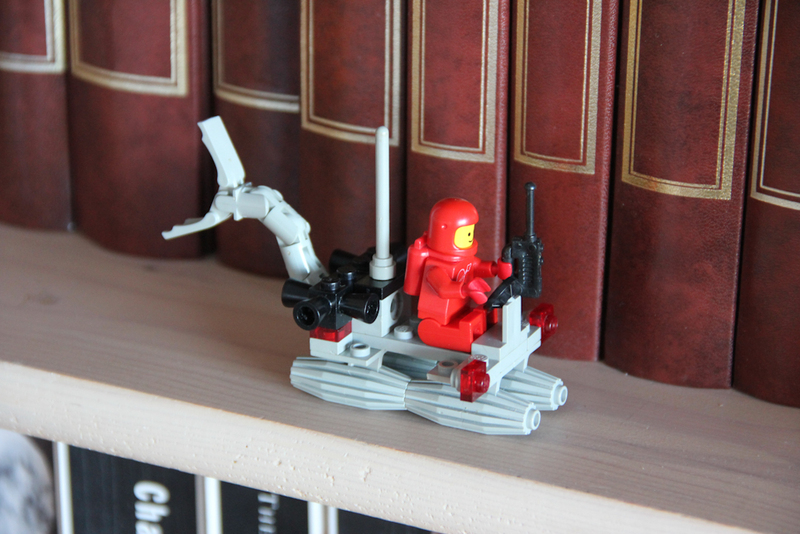 However, I suspect I’m getting to the point where I’ll abandon all pretences and start buying boxes of “real” lego simply because I want them. Then, when the lass is old enough, she may, if she’s really interested and really good, be allowed to play with them too. Maybe. To start with, this is a must for the wish-list. I guess one needs to chose a main theme to collect, unless one has unlimited resources and the land to build one’s own Legoland, and “historic” sets definitely appeal to me the most, though there may be some Mindstorms in my future, too. Set numbers 10182, 10185 and 10190 seem like a good place to start, actually. I think I’d like my own little town. Or steampunk! How great is this? I guess it’s a matter of stocking up on bricks and getting to it.